September 3, 2008: Jim Zastrow and his wife Mary from Mosinee, WI, visited for a day at Gilbert Lodge. They were childhood sweethearts since the 9th grade. Jim officially retired at the age of 65 in 2006, but is leading a very active lifestyle including helping out some of his radio broadcast station clients on occasion. 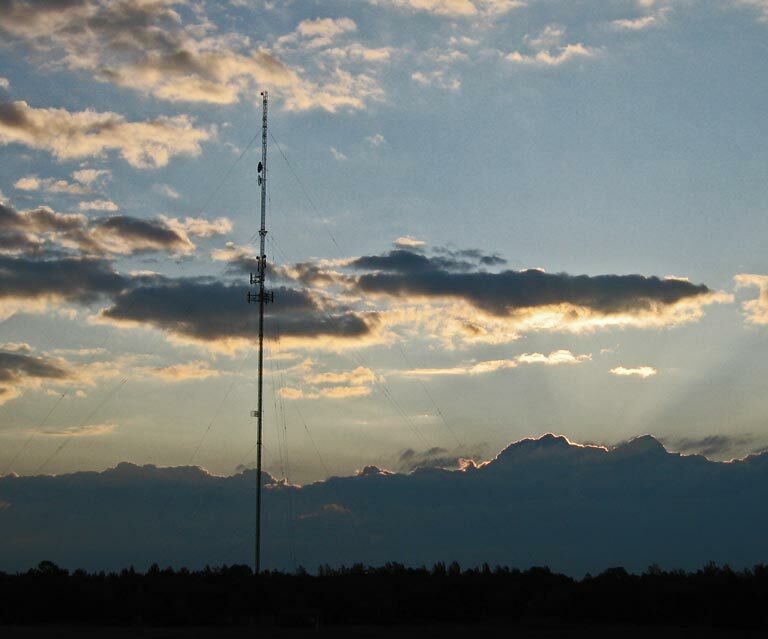 Mary was, and still is, a licensed Ham Radio Operator with the call W9NMC. She was licensed even before Jim, who is AB9BW. 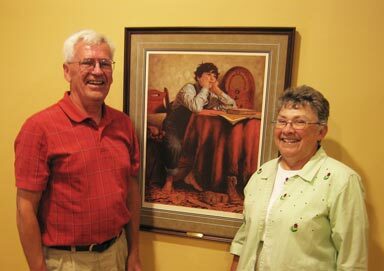 The couple is shown here just inside the front entrance to Gilbert Lodge and next to the Radio Daze painting by Jim Daly. 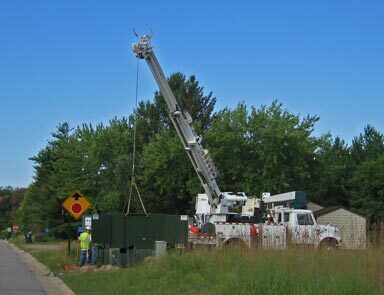 September 4, 2008: A crew from Brainerd Public Utilities interrupted power to the area for four hours while installing new switching equipment on the electric grid. The automatic backup power generator at Gilbert Lodge worked flawlessly filling the void with only 10 seconds of time required to start and come online. September 5, 2008: A radio broadcast tower near Brainerd, MN, at sunrise. 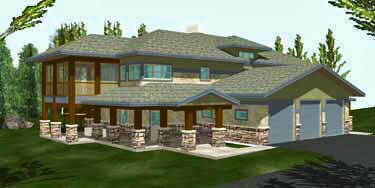 Click here for a larger image. 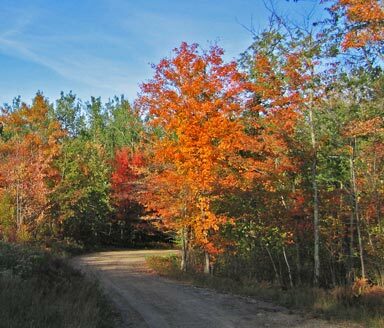 September 27, 2008: The fall colors are starting to show. 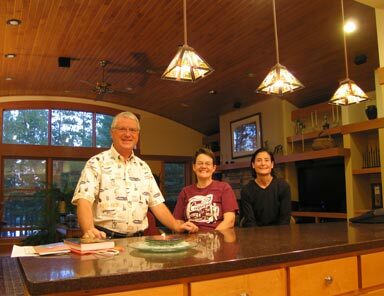 September 28, 2008: Mark and Paula host Doctor Leslie Kopstein of the Twin Cities, during Divefest in Brainerd, which is put on by the Minnesota School of Diving. Leslie has 70 fresh and salt water dives to her credit. Paula has over 200, but all have been in fresh water.